Miami head coach Al Golden was rumored to be on Penn State's wish list for its coaching vacancy. 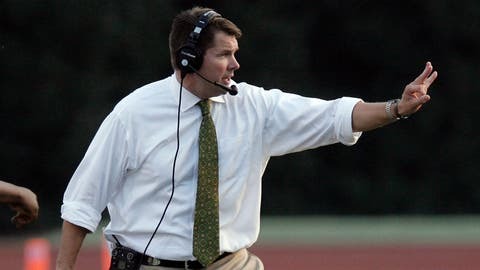 After rumors circulated for a week that he would take the vacant position at Penn State, University of Miami head coach Al Golden reaffirmed his commitment to the Hurricanes in a statement released Sunday afternoon. "There has been much speculation concerning my future at the University of Miami," Golden said in the statement. "While I am flattered that our progress at The U during an extremely difficult period of time is recognized, I am also appreciative of just what we have here at UM and I am not a candidate for another position. We are eager to welcome our student-athletes back to campus next week and visit with prospective student-athletes and their families beginning Jan 15." Golden, 44, took over for Randy Shannon at Miami on Dec. 13, 2010. He has gone 22-15 in three seasons, improving the win total each year (six in 2011, seven in 2012, nine in 2013) despite the NCAA impermissible benefits saga lasting 28 months. The rumors surrounding the future of Hurricanes head coach Al Golden has already had an impact on Miami recruting. The Hurricanes lost to No. 18 Louisville 36-9 in the Russell Athletic Bowl Dec. 28. Hialeah Champagnat Catholic defensive tackle Travonte Valentine decommited from Miami on Saturday during the U.S. Army All-American Bowl in San Antonio because of the uncertainty. Valentine told The Times-Picayune that LSU was his top choice, and he would continue to weigh his options. 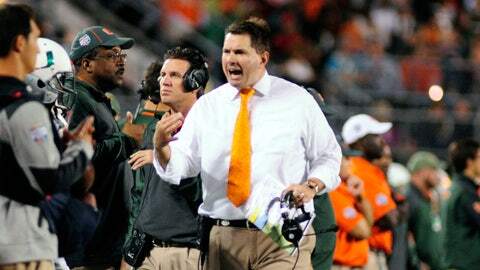 "Until Al Golden says he’s staying, I’m decommiting from Miami," he said. For the first time in two years, Golden gets to recruit with the NCAA shadow behind him and the program. With 28 commits, the class ranks top 5 nationally. When Sunday’s news came out, four-star wide receiver Braxton Berrios tweeted, "WE ALL STAND WITH THE U!! It’s a canes thing, you guys just wouldn’t understand." This week marked the second time since his time in Miami that Golden to Penn State rumors surfaced. After Joe Paterno retired in 2011, Golden’s name was mentioned. Golden, who played tight end for Penn State from 1989-1991, was a captain his senior year for the team that won the 1992 Fiesta Bowl. He was a linebackers coach and recruiting coordinator under Paterno in 2000. He is under contract at UM until Jan. 31, 2020.